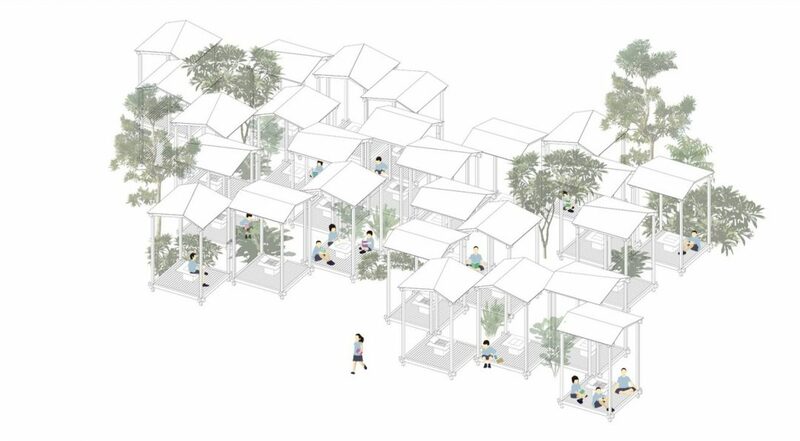 This year’s competition was called “The Way of the Buyi” and was aimed at providing spaces for reading, and eating, in a schoolyard outside of Pu’an City, in Guizhou Province, China. The competition saw 3024 participants from 79 countries across the globe. In March 2017 the winners were announced to be Agnieszka Kołacińska and Jakub Andrzejewski from The Warsaw University of Technology, Poland. Now a team of eight students from the Oslo School of Architecture and Design are collaborating with the winners to further develop the winning proposal and build it during the fall of 2017.